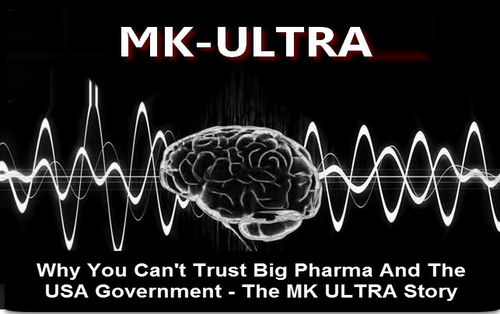 In this new story over at Zero Hedge that Steve Quayle linked to on his website Wednesday morning, they report that victims of the CIA’s MK-Ultra brainwashing program in Canada are now filing a class-action lawsuit against the government’s of Quebec and the national government of Canada for “ruining their lives“. With more than 40 Canadians forming a group called Survivors Allied Against Government Abuse (SAAGA) gathering for the first time together in Montreal to share their own personal stories of how the CIA-funded experiments ripped apart their lives and those of their families, the experiments conducted under the supervision of Dr. Ewen Cameron were designed to erase the victim’s memories, and even reprogram them with ‘new thoughts’ via a processes of ‘depatterning‘ and ‘psychic driving‘. While the victims started the process with very few if any significant mental health issues, the ‘testing’ which involved drugs such as LSD and PCP with extended periods of medically induced sleep mixed with extreme forms of electroshock therapy and sensory deprivation left many victims mere shells of their former selves as we hear directly from one MKUltra victim in the 1st video below. Some patients have even claimed, they were forced into medically-induced comas for days or weeks at a time while a speaker played looped noises or repeated phrases. “These were innocent people that went in for mild depression… They came out completely ravaged and their life was ruined,” Marlene Levenson, whose aunt was admitted to Allan Memorial Institute, told CTV Montreal. Angela Bardosh’s mother Nancy Layton, who attended the Allan Memorial Institute decades ago, showed CTV Montreal a note from her mother that read: “They destroyed many parts of me. I’m lucky to be alive.” Bardosh said her mother was admitted to the facility as a teenager due to depression. Bardosh claims her mother spent six months in Cameron’s MK-Ultra program, where she developed acute schizophrenia and ruined her entire life. Back on October 11th of 2017, we published a story on ANP titled “From Nazi Germany To The CIA To Disney, A Deeper Look At How MKUltra And Monarch Mind Control Turned Hollywood Into ‘Cannibalistic Helly-wood'” within which we reported upon the very deep ties between MKUltra, Nazi Germany and ‘monarch mind control’ and how such techniques were being used heavily in Hollywood upon actors and actresses and within their movies and TV shows to ‘control the minds’ of the American people. It is, however, during the 20th century that mind control became a science in the modern sense of the term, where thousands of subjects have been systematically observed, documented and experimented on. One of the first methodical studies on trauma-based mind control were conducted by Josef Mengele, a physician working in Nazi concentration camps. He initially gained notoriety for being one of the SS physicians who supervised the selection of arriving prisoners, determining who was to be killed and who was to become a forced labourer. However, he is mostly known for performing grisly human experiments on camp inmates, including children, for which Mengele was called the “Angel of Death”. Disney, the man, the studio, and the theme parks are often cited by Monarch victims as an essential part of the government’s mind control program. Programmers use electroshock in combination with Fantasia’s imagery to induce dissociative personalities and for programming. Program runners realized that bringing in people from all over the world to military facilities would eventually give rise to suspicions, so they worked with Walt Disney in designing his theme parks to include facilities for mind control programming. Many of the rides are designed for use in mind control and to traumatize young children. Monarch programming is also used on the masses via movies, televisions, and music. 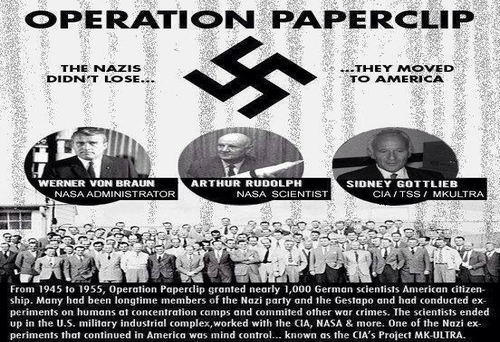 They are used to desensitize the public or to trigger programs in mind-controlled slaves. Websites such as IlluminatiMovies and VigilantCitizen are dedicated to analyzing Hollywood movies from the perspective of Monarch. 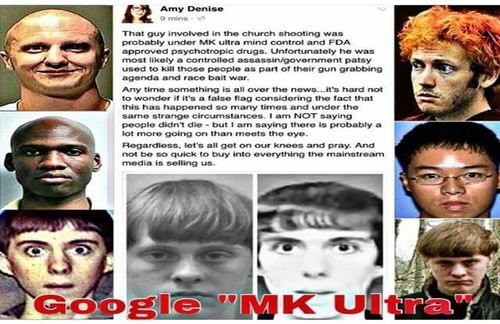 Back on May 19th after the latest school shooting in America, we asked within this story on ANP if the killer was targeted by the deep state for MKUltra and trauma based mind control while reminding of William Cooper’s 1991 book called “Behold, A Pale Horse” within which the former US Navy Intelligence officer warned of the deep state’s plan to use school shootings all across America to get the US middle class to beg the elites to take away the 2nd Amendment. As we reported within that story, the globalist-deep state plan to destroy America and the US Constitution to complete their implementation of a ‘new world order’ absolutely depends upon a ‘neutered America’. A plan that we saw playing out to absolute perfection during Barack Obama’s 8 years of tearing down our military, loading up the ‘deep state’ with political operatives not dedicated to America but to a particular political party (and Islam?) while they continued to unfold their anti-freedom, techno-totalitarianism. While thankfully we elected President Donald Trump and a huge dent has been put in the globalist agenda, recent events have proven there is still a corrupt faction of the deep state within America, some possibly the very same people who have designed, implemented and helped to carry out such ‘false flag events’. As videographer Dana Ashlie reports in the 2nd video below titled “Deep Truth. Neither CNN or Fox Will Tell You This“, a video that went viral with nearly a half million views, these ‘mass shooting events’ fit clearly into the ‘mass deception’ that we’ve long been warned would be carried out against us. And while Infowars reported back in February upon the history of MKUltra and the murderous monsters such mind control techniques have created, the Canadian MKUltra victims mass lawsuit surely to bring out more truth in the days and weeks ahead. Helping to focus the attention of the masses upon the mind control techniques and torture that have been used by the ‘deep state’ against us, in the final video below we hear about the recent news that MKUltra families have finally decided to fight back against that deeply corrupted faction of the deep state that went rogue against their ‘masters’, “We the American people”.